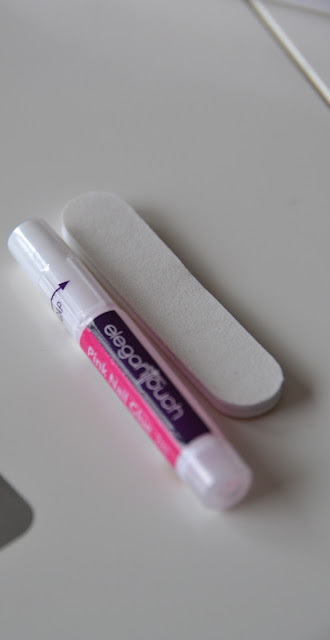 put a small amount of glue onto the nail and on your real nail. Press the false nail onto your real nail and hold for a few seconds? Now, Let's get crafty ;-)? Put some nail polish on adhesive tape. The cut the tape into small slices. cut off the excess ends , put a transparent nail polish layer on top and you're done ! They look super pretty darling - love Elegant Touch!